I bought this skirt in navy and I'm delighted with the fit and quality. 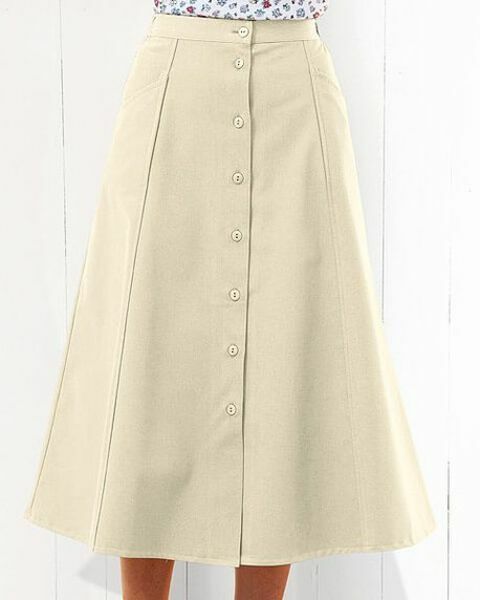 The buttons are secure and the waist is so comfortable with the elasticated sides. 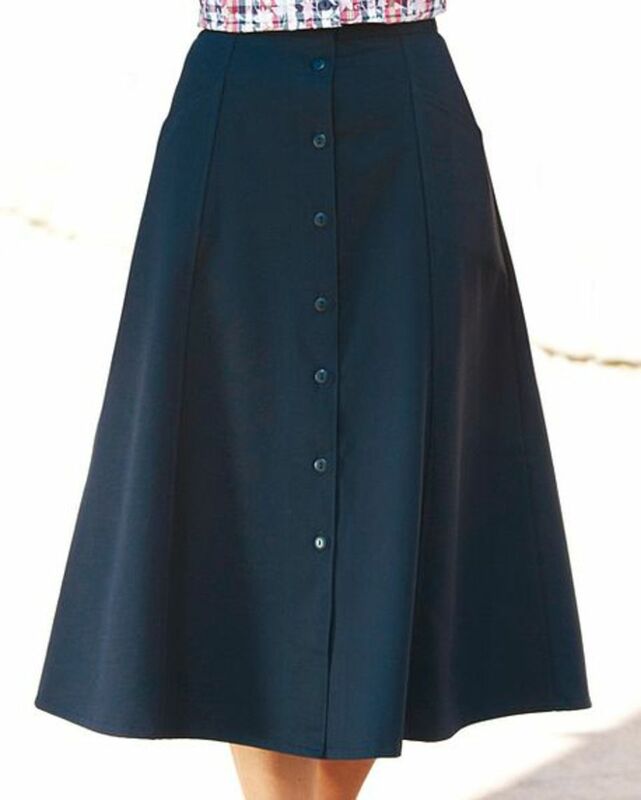 The skirt looks really smart with a jacket and scarf or casual with a silky cotton top. Ladies classic A-Line bitton through skirt with front and back panels with integral front pockets. Side waist elastication. This skirt is an ideal piece to compliment any oufit especially when worn with any of our chino coordinates. "I bought this skirt in navy and I'm delighted with the fit and quality ..."